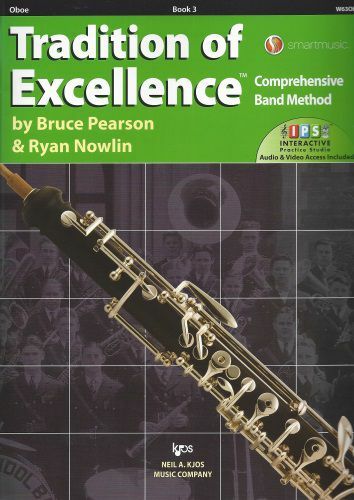 Book 3 of the new overwhelmingly popular band method Tradition of Excellence is now available! A music educators dream, Tradition of Excellence is a flexible performance-centered curriculum that seamlessly blends classic and contemporary pedagogy and cutting edge technology. The consensus is in! Directors love the music; the dynamic look; the comprehensive approach; the ability to customize teaching; the smooth pacing with careful review; and the audio accompaniments.